The search engine optimization process for this website will serve as an illustration of the process and progress for the optimization campaign. F1rst Page SEO was re-launched in November 18th of 2009. The reason I have included my website as an SEO diary is to show my skills at optimization. 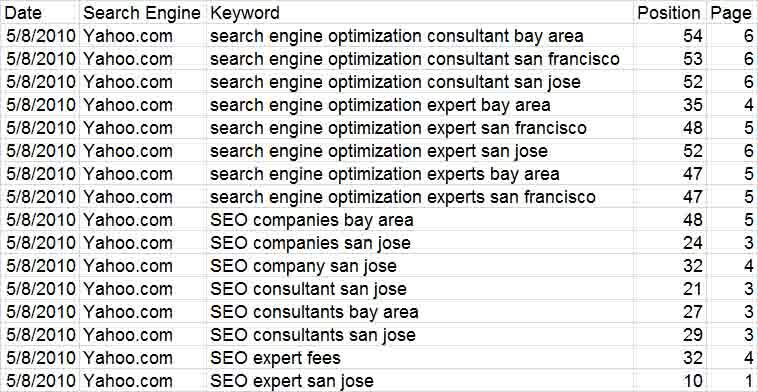 SEO has to be one of the most difficult headings to be highly ranked. My aim is to track my success over a period of time and chart my progress for all of my potential clients to see. F1rst Page SEO shall attain #1 first page local rankings for keywords that will been seen by qualified customers and produce the most revenue opportunities for the company. 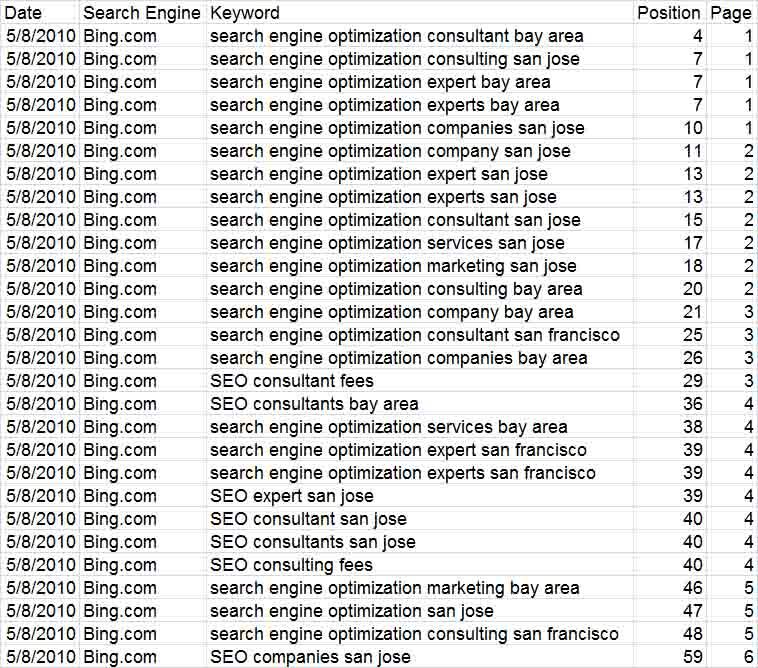 F1rst Page SEO ranking for global keywords are on longing effort and could take longer than the local campaign. 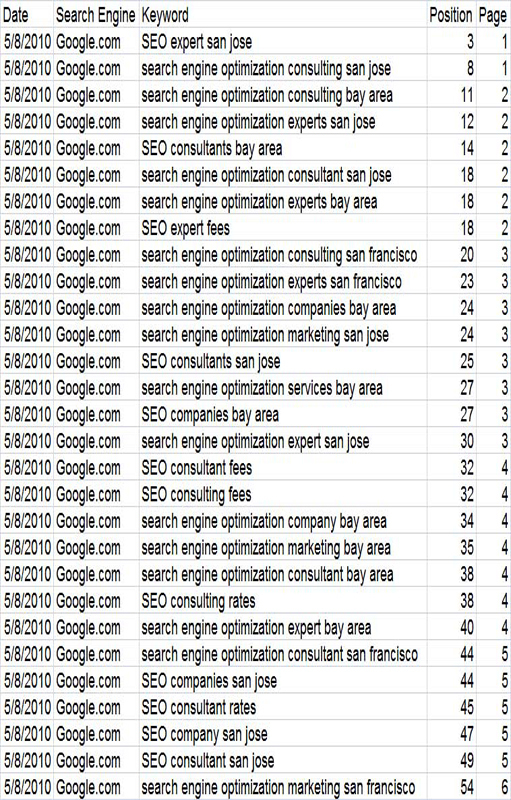 First indexed in Google - November 18th of 2009. First indexing in Google was moderately successful with 30 out of 50 below an SERP of 100 - November 18th of 2009.
f1rstpageseo.com was successfully re-indexed in Google on November 18th of 2009. Becoming indexed means the website has been included in Google ranking algorithms and assigned a numerical position based on the optimized content contained in the website. I know this because if you look at the cached version of the page it shows the date that the cache was indexed. 11-22-09 - Changing the name of the site and submitting the optimized content of the old website firstpagesearchengineoptimization.com as new the new name f1rstpageseo.com actually increased the rankings of the keyword chosen for firstpagesearchengineoptimization.com. 5-8-10 - There have been and overall increase in the rankings for keyword phrases chosen for f1rstpageseo.com. Sufficient time has passed to be able to discern increases in ranking for Google, Bing and Yahoo.